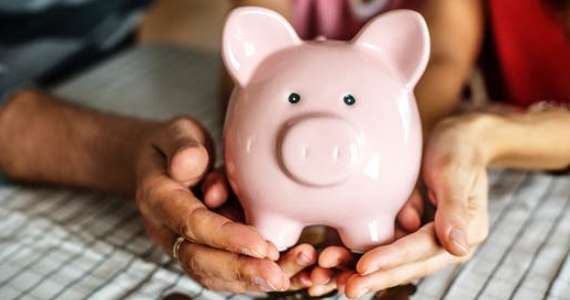 You can put extra money into your super before your salary reaches your bank account – this can potentially reduce your taxable income and you may be able to pay less tax and save money in the process. Here’s a quick overview of how salary sacrificing works. Salary sacrifice is an agreement with your employer to contribute a certain amount of your pre-tax salary or potential bonus into your super. The aim is to potentially reduce your tax and boost your super balance at the same time. The word sacrifice doesn’t really make this strategy sound appealing, but it has some great potential benefits. Instead of being taxed at your marginal tax rate of up to 47 per cent including Medicare levy, these payments are generally taxed at the concessional rate of up to 15 per cent. For example, if you earn $95,000 a year, you could save up to 24c in every dollar sacrificed. If you’re a high income earner, with combined income and concessional super contributions of more than $250,000, your concessional contributions above the $250,000 will be taxed at an additional rate of 15 per cent (30 per cent in total). However, this is still lower than the top marginal tax rate of 47 per cent (including Medicare Levy). Salary-sacrificed super contributions are part of your concessional (or before-tax) contributions for the financial year. The concessional contributions cap includes mandatory contributions made by your employer and is $25,000 per year, regardless of your age. The Government’s Moneysmart website has a great super contributions optimiser calculator. It can give you an idea of how salary sacrificing can affect your super and take home pay. If you like the idea of salary sacrifice, discuss it with your employer and see if you can make an arrangement with them. You should also seek advice from a tax agent or speak to your financial adviser to determine if this strategy suits your financial situation. Similar to salary sacrifice arrangement, you can make personal contributions to super and claim a tax deduction for these contributions. By making a personal super contribution and claiming it as a tax deduction, you’ll reduce your taxable income and invest more in super. The contribution will generally be taxed in the fund at the concessional rate of up to 15 per cent. This is instead of your marginal tax rate which could be up to 47 per cent including Medicare Levy. The contribution will generally be taxed in the fund at the concessional rate of up to 15 per cent. This is instead of your marginal tax rate which could be up to 47 per cent including Medicare Levy. An additional 15 per cent tax applies to concessional super contributions if your combined income and concessional contributions exceed $250,000. Depending on your circumstances, this strategy could result in a tax saving of up to 32 per cent and enable you to increase your super. We recommend you see your financial adviser to discuss whether salary sacrifice or personal contributions would work for you. Contributing some of your pre-tax salary into super could help you to reduce your tax and invest more for your retirement. Let's say you have an income of $60,000 and you chose to salary sacrifice $10,000 over the course of the year. Your taxable income would drop to $50,000. This means you’d pay around $7,797 in tax instead of $11,047. These figures are based on ATO Simple tax calculator for the 2016-17 income year, with a full year resident status including Medicare levy. Salary sacrifice isn't for everyone though. It is more effective if you earn over $37,000 and it’s important to remember not to go over the $25,000 before-tax contributions limits otherwise you could be paying extra tax. You’ll need to remember the new cap for super contributions which from July 1 2017, for before-tax contributions, is $25,000 for everyone, regardless of your age. There are tax penalties if you go over this cap. Remember, compulsory employer contributions are included in your concessional contributions cap. Setting up salary sacrifice is normally a straightforward process. If your employer agrees, you’ll need to arrange with them to have some of your pre-tax income paid straight into your super fund. You can access these funds when you reach your preservation age. The benefits of contributing extra to your super from your pre-tax pay include easier budgeting. The money is not paid into your bank account, so you’re less likely to miss it. Also, you can receive a capped tax rate of 15 per cent or 30 per cent on the 'sacrificed' income.The benefits of contributing extra to your super from your pre-tax pay include easier budgeting. The money is not paid into your bank account, so you’re less likely to miss it. Also, you can receive a capped tax rate of 15 per cent or 30 per cent on the 'sacrificed' income. An additional 15 per cent tax applies to concessional super contributions if your combined income and concessional contributions exceed $250,000. If you're serious about getting your super up to speed, then salary sacrifice could be helpful. It’s an effective strategy to maximise your super contributions and lower your taxable income at the same time. Your take-home pay could cover today, your sacrificed salary could help fund tomorrow. To size-up your savings and set up salary sacrifice, contact your employer. You should also seek advice first . Please contact us on |PHONE|.